A while back rapper B.O.B. was in a war of words with acclaimed astrophysicist Neil deGrasse Tyson over the matter of whether or not the Earth was flat. The rapper put out a single called “Flatline” as a dis-track because Dr. Tyson stated that B.O.B. could hold to a refuted, near ancient scientific belief if he chose to. B.O.B. claims there is a vast conspiracy to fool the world into believing it is round to reinforce a heliocentric understanding of the universe. Somehow he believes that it’s beneficial that a mysterious organization of pagans(? ), sun worshippers(?) fool us into thinking the Sun is the center of the universe, invoking Helios or Apollo the Greek/Roman god of the sun, as opposed to an Earth-centric or geo-centric view that was upheld until it was disputed and disproven in the middle ages. In that spirit, I came up with songs that cast doubt on ideas and ideologies that society holds fast to for fear that someone in the shadows wants us to believe these things only to do us harm in some way. For some reason. The first song I made was about the Anti-Vaccine movement. It Features Sesame Street’s Elmo and the former US Surgeon General, Dr. Vivek Murthy. The second track was about Aluminum Foil hats and how they protect us from the government plans to control our brains or whatever. I had fun with these and hope you do too. Revised edit of Bottled Up, more up tempo. 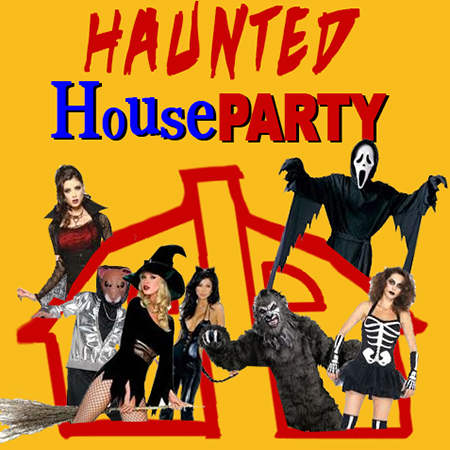 Here’s another attempt at a Novelty Halloween Song, a dance track with a more upbeat tempo. It’s a weird one, about a ghost girl that wants to dance with a laid back fella, for some reason.